Some of the most stunning scenery in Cornwall can be found in and around St Ives, making it the perfect location for coastal walking. 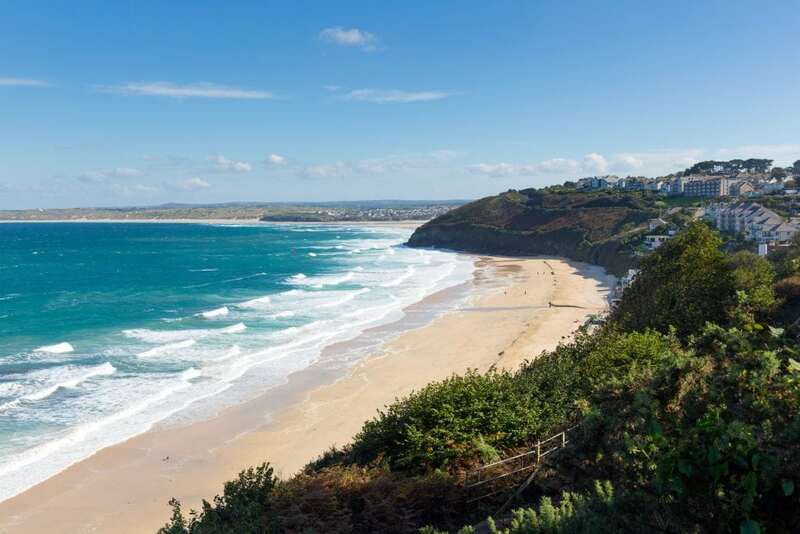 We have selected five coastal walks near St Ives for you to choose from, which are some of the best walks in Cornwall. St Ives forms part of the spectacular landscape of West Penwith, a unique part of Cornwall with high rugged cliffs and rocky moorland, dramatic views of the Atlantic Ocean, pretty villages and sandy beaches. 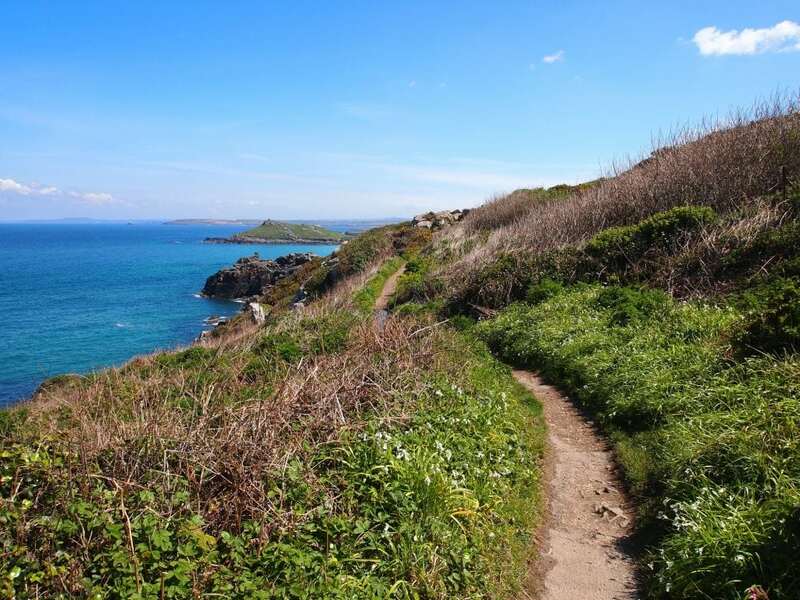 Whether you’re looking for easy walks around St Ives, or a more challenging coastal hike, you’ll be sure to find a walk that suits you from the list below. This gentle two mile walk takes you above the scenic St Ives to St Erth railway line, offering beautiful views over St Ives Bay. Meandering along the coastal path above sparkling turquoise water, you will forget that you’re still in the UK. This breathtaking part of the South West Coast Path enjoys a warmer than average climate, with sub-tropical plants and palms, creating a Cornish paradise. This walk is perfect for all the family and once you reach Carbis Bay you can relax on the beach or take a dip in the sea. Carbis Bay hardly ever has any surf, so is the perfect spot for families and for swimming. This St Ives to Carbis Bay walk is only a mile each way, so why not take a picnic with you to enjoy on the beach? A picturesque walk which is great for a relaxing day in the sunshine. In the opposite direction, is the most challenging of our five coastal walks near St Ives, the walk from St Ives to Zennor. This adventurous Cornwall walking trail begins at Porthmoer beach where you commence the 6 mile walk to Zennor. The Tinner’s Arms pub in Zennor also makes this one of the most popular pub walks in Cornwall. The pathway starts above the beach on Man’s Head, continuing through a kissing gate at Clodgey Point. You’ll pass through wild scenery, over pebbly coves and there will be lots of climbs and drops; so make sure you’re wearing sensible footwear! As you pass Pen Enys Point, look back towards Porthmoer – you might be lucky enough to spot basking sharks or dolphins, but if not, the views are still amazing. The route does get more challenging as you get closer to Zennor, but the wild scenery becomes more spectacular. Plus, you can reward yourself with a well-deserved meal at the Tinner’s Arms – you won’t be disappointed! After your delicious meal, either retrace your steps or catch a bus back to St Ives. Four-legged friends adore holidaying in Cornwall. With miles of coastal paths and vast sandy beaches to explore, St Ives offers some fantastic dog walks. Energetic pooches would certainly enjoy the previous walk, and the Tinner’s Arms is dog-friendly too. But if you’re looking for something a bit less challenging, why not embark on the St Ives to Lelant coastal walk? Starting at St Ives railway station, this walk is an extension of walk number one. Walk above the railway line, stopping at Carbis Bay for a break if you wish, before continuing along the coastal path towards Porthkidney Sands. This is a level walk, ideal for a relaxing stroll with your loved ones. Porthkidney Sands is dog-friendly all year round and the pretty village of Lelant, at the mouth of the Hayle estuary, has a partly Norman church, which was restored in the 13th and 15th centuries. The ancient pilgrim route of St Michael’s Way, which takes you back towards Carbis Bay, is also steeped in history, dating back to prehistoric times and thought to have been used by pilgrims and missionaries to avoid the treacherous waters of Land’s End. This four and a half mile walk has fantastic scenery and an intriguing history to discover. The Hayle to St Ives walk is an extension of the previous walk; a circular walk which is just over 6 miles in total. However, you do have the option of getting a bus or train to Hayle and then walking back to St Ives. If you’re arriving in Hayle by public transport, why not walk through the town first? There are gift shops, cafes and a quirky market in the Old Foundry Chapel to explore. Once you’re ready to begin walking back to St Ives, start from Britain’s oldest swing bridge on Custom House Quay. 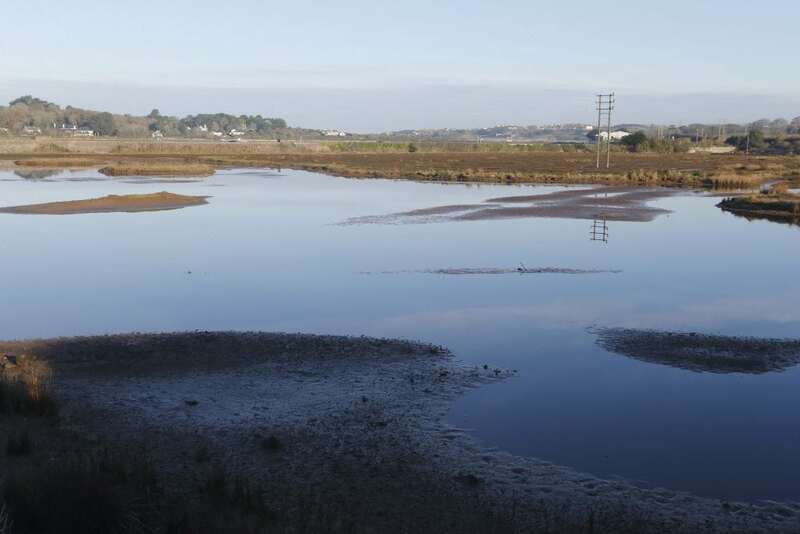 The route takes your alongside the Hayle Estuary Nature Reserve, home to many different species of birds, before following the ancient pilgrim route of St Michael’s Way and onwards adjacent to the railway line via Carbis Bay and back to St Ives. If it’s a pub walk you’re after, you could try the Bluff Inn, a pub on the clifftop in Hayle with amazing sea views. If you do the walk the opposite way round, you might be able to enjoy the sunset at the Bluff before heading back to St Ives on the train. Alternatively, you could stop off at the Badger pub inn Lelant, half way through your journey from Hayle to St Ives or vice versa. This circular walk is a little bit further along the coast, but still one of our favourite coastal walks near St Ives. This walk is most easily accessed by car, with a spacious National Trust car park in Godrevy. Alternatively, park at Hell’s Mouth cafe car park and head back towards Godrevy. 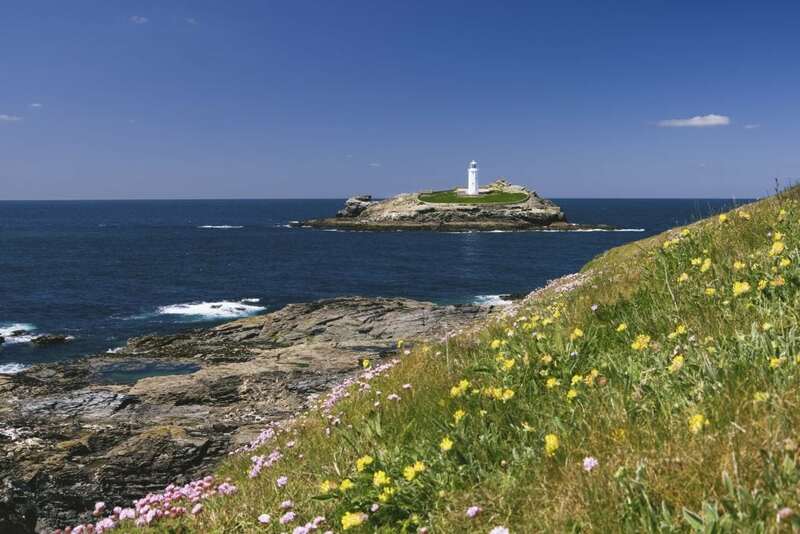 Situated on an area called North Cliffs, part of the Godrevy to Portreath Area of Outstanding Natural Beauty, this 5 mile circular walk enjoys breathtaking views of the rugged Cornish coast, including views of Godrevy lighthouse and the chance to spot seals, dolphins and other wildlife. The route takes you over the Towans (Cornish for sand dunes), through farmland and across the cliff-top with elevated ocean views, before reaching Hell’s Mouth, a dramatic rocky inlet. There are cafes at both Hell’s Mouth and Godrevy where you can stop for some refreshments during your walk and Godrevy beach forms part of the three miles stretch of sand between Hayle and Godrevy lighthouse, so there’s plenty of space to relax on the beach. This brings us to the end of our favourite coastal walks near St Ives, but please share yours in the comments below. 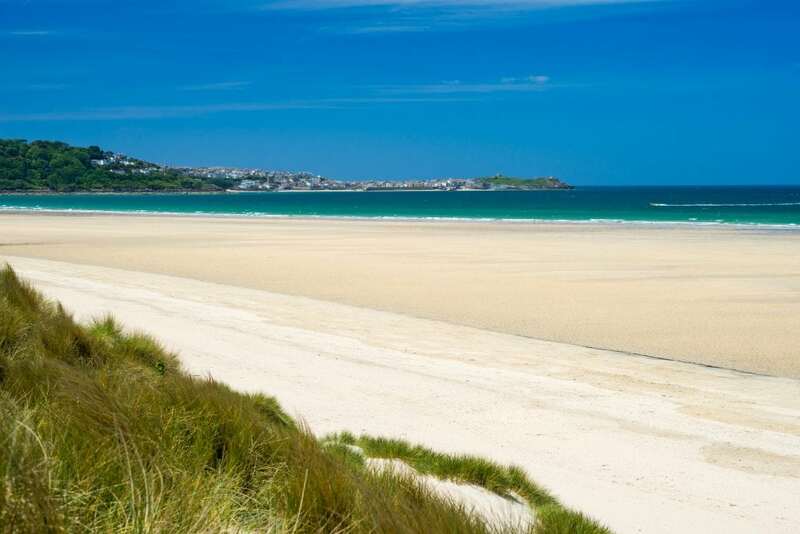 Now you have plenty of inspiration for walking in and around St Ives, browse our St Ives cottages, apartments and villas to find your perfect holiday home.